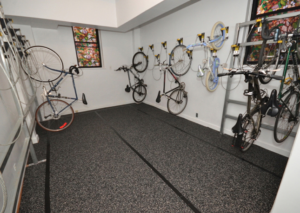 Bicycle Wall Rider storage brackets are the ideal way to provide stable, vertical bike storage on unused existing walls. 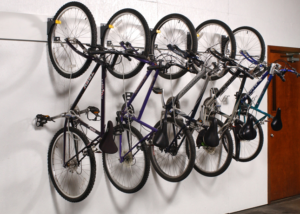 The Bicycle Wall Rider bracket gives you a quick and easy way to store your tenants' bikes without excessive expense. These bike storage brackets can be another revenue source for building management, and for a few dollars a month, a tenant can store their bike safely, securely and have fast easy access to it. Use existing unused wall space to safely and securely hang virtually any bike.